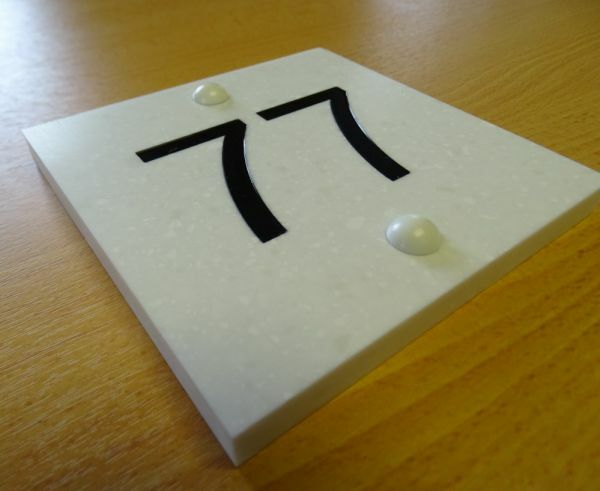 Order this Marble effect Corian nameplate to make your house stand apart. Whether it’s just a number, house name or both, these long lasting plaques are deep engraved and infilled with a contrasting colour, making your plaque really stand out when proudly on display. 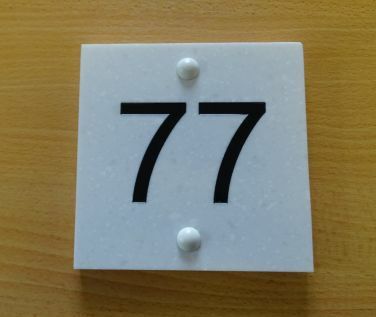 Brunel Engraving offer a selection of sizes below, for the smaller square sizes, we recommend only a house number to be engraved, for the larger sizes, house names and numbers can easily be accommodated. 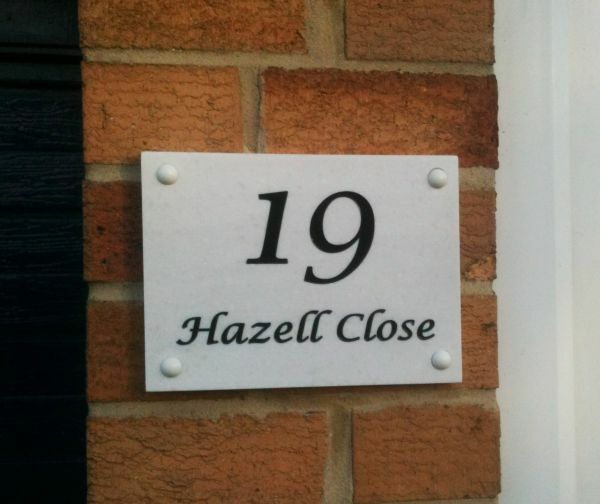 Logo’s and borders can also all be included to enhance your house nameplate. The scalloped border incorporates scalloped corners which surround and highlight the screws. Marble Effect House Nameplates are supplied with 4 x fixing holes (2 x fixing holes on sizes 100 x 100 & 125 x 125mm), screws and powder coated domed cover caps. To view a video tutorial on how to fit your plaque please click here. This plaque can also be supplied without any fixings.